what is he searching those distances for? and emptied-out sloughs of the night. at the springs. Hearing the grind of that overhead engine. where a small strip of brightness comes through. 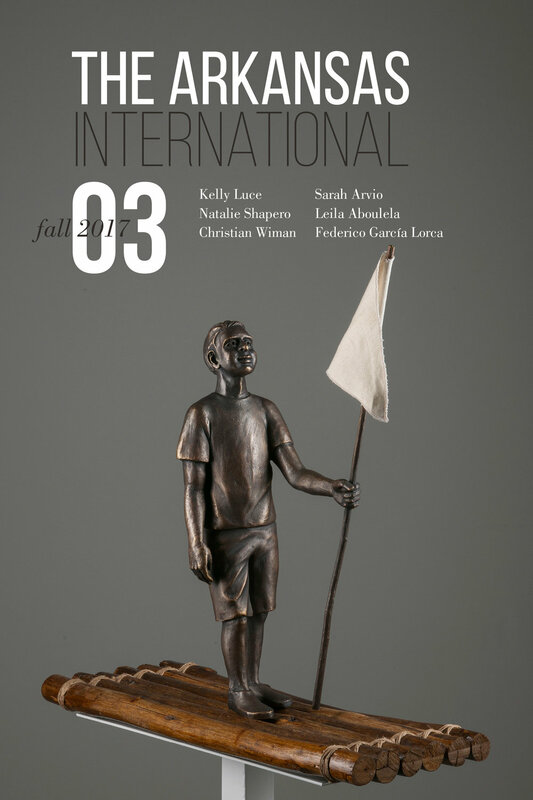 Kai Carlson-Wee's "North Share Recovery" and "Riding the Highline" can be read in the print edition of The Arkansas International 3. Kai Carlson-Wee is the author of RAIL (BOA Editions, 2018). He has received fellowships from the MacDowell Colony, the Bread Loaf Writers’ Conference, the Sewanee Writers’ Conference, and his work appears in Ploughshares, Best New Poets, New England Review, Gulf Coast, and The Missouri Review, which awarded him the 2013 Editor’s Prize. His photography has been featured in Narrative Magazine and his poetry film, Riding the Highline, received jury awards at the 2015 Napa Valley Film Festival and the 2016 Arizona International Film Festival. A former Wallace Stegner Fellow, he lives in San Francisco and is a lecturer at Stanford University.